Our experienced staff will help to guide you through choosing lenses. We will recommend what is most suitable for you based on your lifestyle and visual needs. Our glasses package deals start from just £39.95 for glasses and £49.95 for sunglasses. We offer a large selection of varifocals. New digitally surfaced free form technology offers fantastic clarity and ease of use. 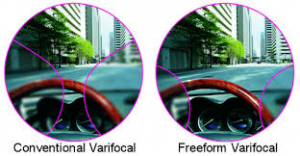 Varifocal lenses have no visible line parts of the lens for distance, intermediate and near. Instead, the power of the lens progresses smoothly down the lens. 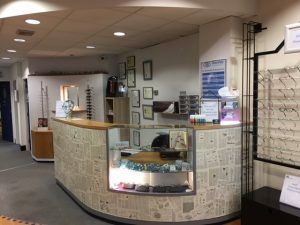 They are a fantastic options for busy people who need to multi task and don’t want the inconvenience of having to swap between everyday and reading glasses. There are lots of options available to make your glasses thinner and lighter. If you need high powered lenses, a high-index lens can reduce the thickness and weight making them much more comfortable to wear. It can also significantly improve the appearance of your glasses by reducing the appearance of magnification. Our online lens ordering system lets us trace your frame and calculate the lens thickness with different lens options to give you the best finished product and best value for money. Multi-layer coatings combine anti-reflection, scratch-resistant and water repellent properties. The anti-reflection coating helps to reduce reflections from the lens surface which reduce glare when driving or using a computer. It also helps to improve the cosmetic appearance of your lens. A scratch-resistant coating helps to protect the surface of your lens from fine scratches and can prolong lens life. 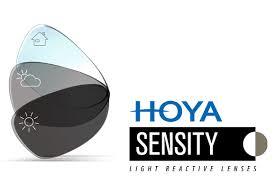 Photochromic glasses change from light to dark depending on the surrounding light conditions. They automatically adapt to changing light conditions to reduce eye fatigue and eye strain. They are darker outdoors, particularly in hot temperature. Contact lenses offer clear, comfortable vision without some of the draw backs of glasses. They give you a wide field of vision and can’t fog up! 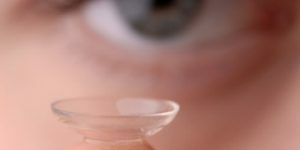 There are a large range of contact lenses available today. Daily disposables can now correct astigmatism and varifocal prescriptions. They are so easy to use and offer great comfort and convenience. Monthly soft lenses provide great value for money and gas permeable and tailor made annual lenses can correct most prescriptions. We provide a high quality aftercare service to ensure your eyes are healthy. We don’t make you sign up to any schemes or direct debits, you can just order contact lenses as you need them. As a loyalty bonus, we give extra lenses FREE to customers buying from us regularly.